It&apos;s a good time to get out and enjoy the spring and sunny skies of Sonoma Valley. Here is a list of wineries open for Easter - please call ahead if you are unsure about specific hours. And we always recommend making a reservation - you can often call the same day to ensure you get the special attention you deserve. Thanks for visiting Sonoma Valley! Cradled between the Mayacamas and the Sonoma Mountain ranges, Sonoma Valley encompasses a pastoral patchwork of vineyards, quaint farms and 13,000 acres of scenic parkland. Sonoma Valley is also the closest wine region to San Francisco, just 45 miles north of the Golden Gate Bridge. 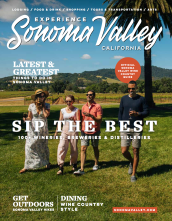 From new tasting experiences, to major renovations and a multitude of new events, Sonoma Valley – a 17-mile long valley within Sonoma County that encompasses the city of Sonoma and the villages of The Springs, Glen Ellen, Carneros, Bennett Valley and Kenwood – has a variety of new offerings for travelers to enjoy throughout 2019. March may be the month of flowers and waterfalls in Northern California, but it is also when Sonoma County Restaurant Week 2019 kicks off, and Sonoma Valley is the perfect spot to explore Wine Country&apos;s most delicious week. Explore the backroads, soak up the sun and earn those wine credits! 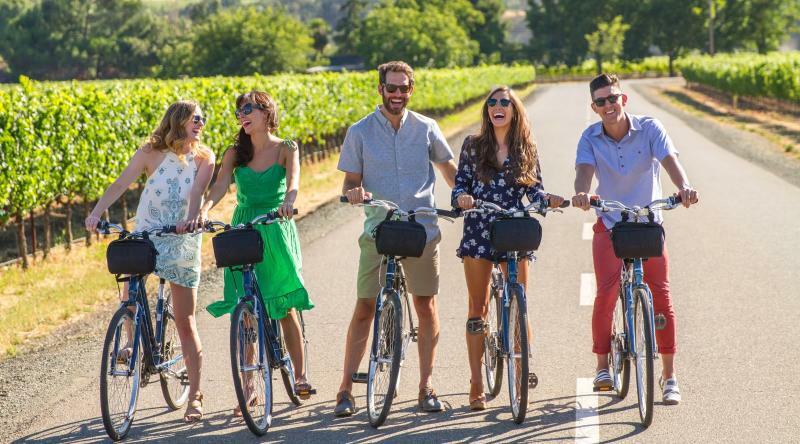 Biking in Sonoma Valley is a fun way to spend the day whether you&apos;re a serious gearhead or prefer a nice, slow, comfortable beach cruiser. Spring, summer, autumn or winter - biking through Wine Country is a year round adventure. Find the perfect venue for your dream wedding in lush, beautiful, and historic Sonoma Valley. Whether you want an intimate gathering or a larger, more elaborate affair, a traditional church ceremony or a modern Wine Country celebration, you’ll find it in Sonoma Valley.